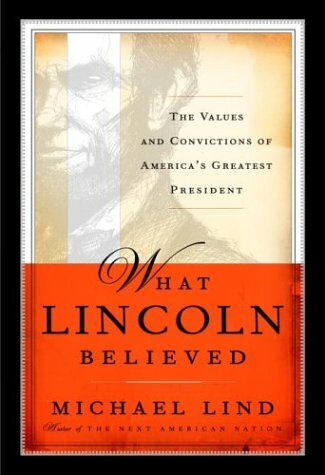 Michael Lind has made so many, and such glowing, references to me in What Lincoln Believed: The Values and Convictions of America's Greatest President that I am not sure whether I should have appeared as a co-author of the book rather than its reviewer. So let me say at the outset that there are two things about this book which I think are worth admiringand one very large questionable thing which may render the admirable parts moot. Those who are satisfied with this as an example of disinterested benevolence are invited to read on in safety. As a pundit, a columnist, and a senior fellow at the New America Foundation, Lind is looking for the sort of thing in Lincoln which most people outside the analytical realms of academe look for, and that is some form of guidance about the nature of democracy. You might think that this looking would be better directed to the Foundersto Madison, Hamilton, Washington, and the Revolutionary generation. But we have become accustomed to the notion that an élitist republic rather than a democracy was the real goal of the Founders, and that democracy was something which was happening outside their circle, and not with their approbation. And so people turn, like Mr. Smith at the Lincoln Memorial, to what bearings on democracy Lincoln can give them.